Bedtime Bible stories with little wondering questions for little people. Each book title asks a question - and the answers come alive for little people in these simple retellings of twelve favourite Bible stories. Delightful illustrations and a practical application for each story to a child's own life make the WONDER BOOKS a series to treasure and grow with. Why Was The Shepherd Glad was published by Scandinavia in August 2015 and is our 2708th best seller. 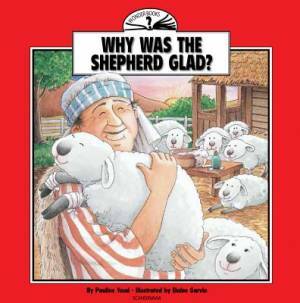 The ISBN for Why Was The Shepherd Glad is 9788772470283. Be the first to review Why Was The Shepherd Glad! Got a question? No problem! Just click here to ask us about Why Was The Shepherd Glad.